Which is the more difficult word: take or encephalomyelitis? Most people would pick the second one – but a lexicographer wouldn’t. For dictionary-writers, words like encephalomyelitis are easy because they only have one meaning, and it can be defined with complete accuracy. The really difficult words are go, take, get, and similar high-frequency items which have dozens of meanings and appear in dozens of phrases. 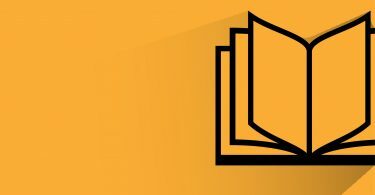 Encephalomyelitis is an example of terminology (what we called ‘sublanguages’ in the first blog of this series). Whatever your professional, academic or recreational interests – from astronomy to zoology – there will be a whole sublanguage that means a great deal to you, and very little to anyone else. Unless you’re in the relevant field, encephalomyelitis is what Donald Rumsfeld would call a ‘known unknown’: you don’t know what it means – but you know that you don’t know it (and you know that you probably don’t need to know it). Flintoff is on strike, and Ponting has set an attacking field, with two short legs, a silly point, and a man out on the pull at deep third man. There isn’t a single ‘difficult’ word here, yet the sentence is meaningless if you don’t know the special cricketing uses of almost every word. Take the first phrase here: on strike. Usually this refers to people refusing to work as a form of protest. But in cricket terms, it tells you which batsman is currently being bowled at. (If you know about baseball, it’s like being at bat). 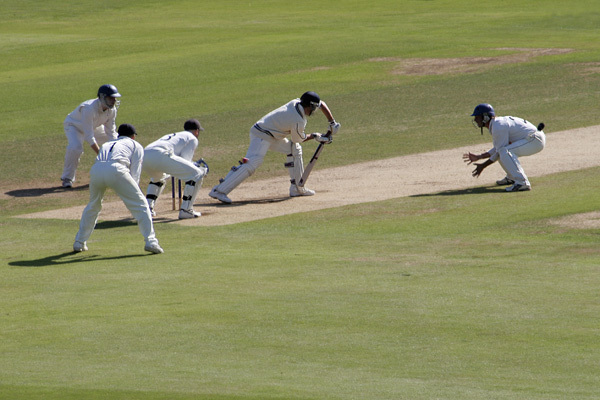 Meanwhile, the other team is ‘fielding’ – trying to get their opponents ‘out’ – and a field (which is ‘set’ by the captain) is the particular pattern in which the fielders are arranged around the playing area. An elaborate system of terms allows us to pinpoint an exact spot on a field of several hectares. If a position is described as silly, for example (as in ‘silly point’), it means it is very close to the batsman (it’s a silly place to stand because you risk being hit by the ball when the batsman whacks it). The cricketer on the right is standing at 'silly mid-off'. If you are fairly close to the batsman, but not close enough to be ‘silly’, your position is described as short (a ‘short leg’ is on the batsman’s left side). And so it goes on – using common English words for highly specialized purposes. Finally, there’s a nice connection between love in tennis, and its equivalent in cricket: a batsman who fails to score any runs is said to be out for a duck. This comes from the expression ‘a duck’s egg’, whose shape resembles a zero. And tennis has its ‘egg’ too: the term love comes from the French ‘l’oeuf’. Next time, we’ll look at the various mechanisms by which a word, starting with one basic meaning, can gradually acquire additional senses like the ones we’ve discussed here.